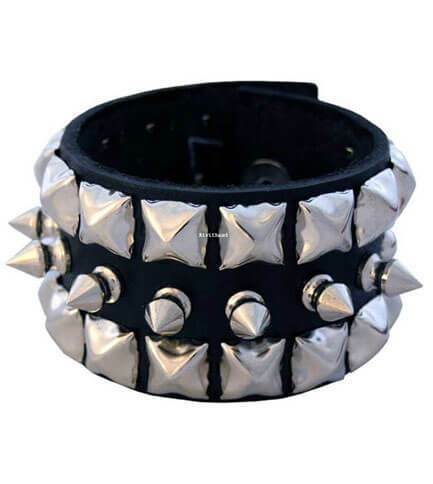 High quality leather wristband with chrome pyramids and spikes. 1.75" wide. Fastens with a single snap. Made in the USA. 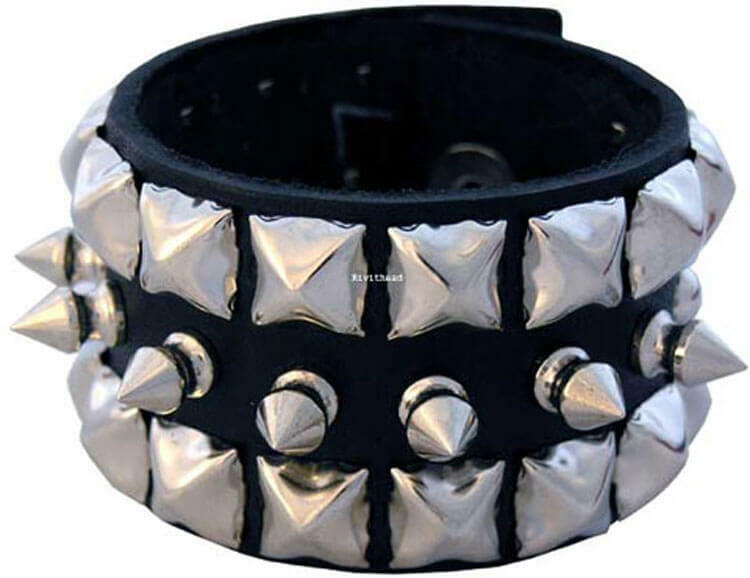 Bought one of these, very quality leather that it's built on, like the other bands I've bought, nice metal used on the creation of the studs and spikes, not cheap aluminum.